Anya Hindmarch's fans had another good reason to enjoy the creations of the British designer. 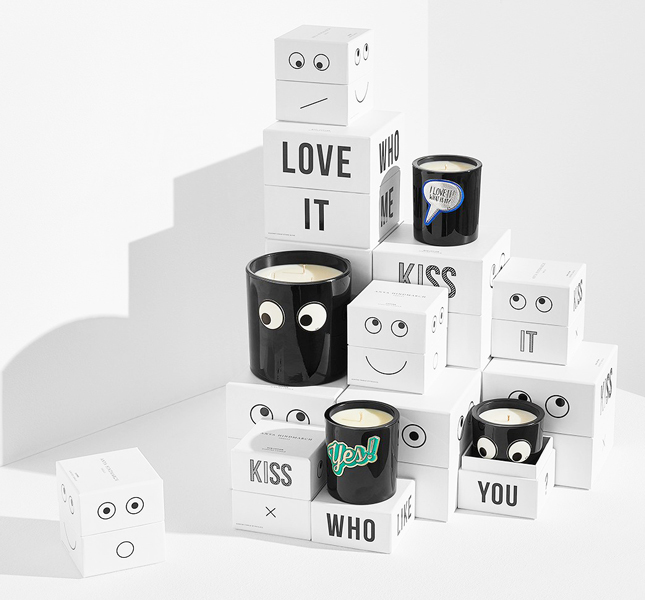 The brand now has its own line of scented candles. Perfume Lin Harris has created three unusual smells for the home: the fragrance of a protective lotion from the sun, baby powder and coffee. The packaging matches a hooligan smell. 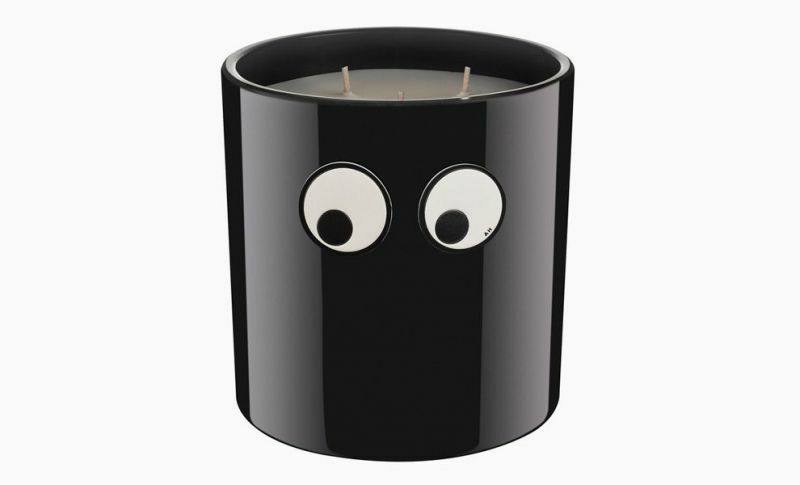 Candles of two sizes are decorated with eyes, as are accessories from the autumn-winter collection of Anya Hindmarch. "They will revive any fireplace or bookshelf and bring a little humor to the interior," says designer Anya Hindmarch. Also the girl hinted that candles are just the beginning of her perfumery experiments. It will be possible to buy unusual aromas already in November in Anya Hindmarch boutiques at the price of £ 50 and £ 150.